Dana Blichová is our skilled Expat & Immigration Consultant in Prague. She is the right person to call or email if you need help with paperwork and bureaucracy in the Czech Republic. You may know Dana from her previous position at Foreigners so we would like to present you what her professional specialty is now. 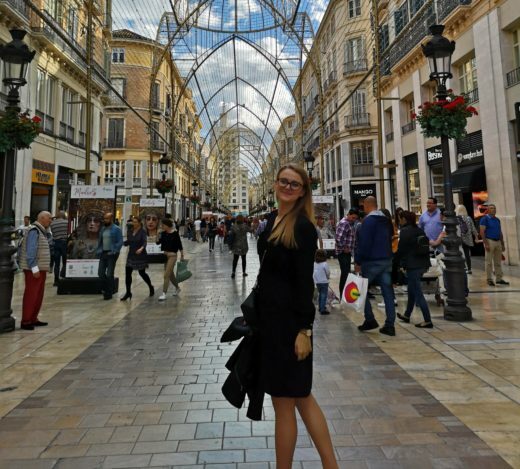 Dana’s amazing long weekend in Malaga! Hi Danka, you switched from being the Office Coordinator to the Expat & Immigration Consultant position in our company. What did lead you to this change? Well, basically I wanted to face new challenges, in order to improve myself and learn new things. That was the major lead in my choice. I have to say that I’m quite pursuing this goal since I have been learning new things every day! Also, I wanted to be more active and in contact with clients. 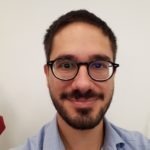 Can you describe your new job position and what is different from before? What is different is that now I have to focus mainly on the client, conduct more meetings than before, more calls and also I’m out the office a lot of time, mainly visiting foreign embassies and ministerial offices to discuss my cases or collecting and delivering documents, certificates, authorizations, etc. What’s the most challenging part of your job or what’s the most fulfilling? The explanation of a process is tricky! It is sometimes difficult to explain how it works in the Czech Republic so that my client understands properly what we need to achieve win-win-win. Also, every case is specific and it is for sure not one of the routine jobs! It becomes serious with the delivery of all paperwork and correct documents. The most important point is to understand each other and learn every detail of the case from the client. With all the information it is easy to start with the process and solve the situation in a short time. I like challenging cases which are new to me, too. Dealing with such situations is like solving a puzzle, there’s always that kind of satisfaction when you have a positive result. Knowing that you helped someone is really fulfilling. I am always happy to help my clients in a new country as I am one of them as well. It’s really hard to get bored of such panorama! You’re originally from Slovakia but you have been living here since a while. 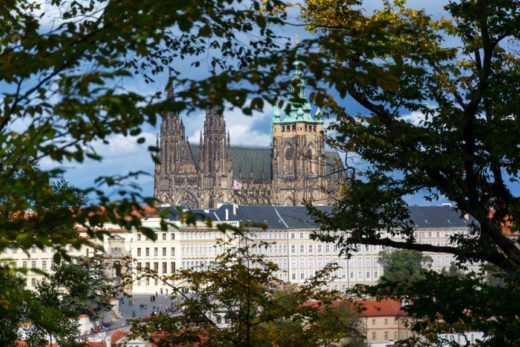 Do this country and city still manage to surprise you or do you consider yourself a true Praguer by now? Yes, it’s surely able to still surprise me! There’s always something new or different to do in this city. There’s a lot of museums and galleries that constantly open new exhibitions. Due to the fact that Prague is a European capital with a lot of artists and musicians, theatre companies come to perform their shows. Also, no matter how many times I already saw it, Prague castle always find a way to gets to my heart! You’re an art enthusiast. What would you suggest to expats in Prague to do and what places to visit asap? Asap? Everything! It’s hard for me to make a rank of what to see in Prague. The best advice I can give to a foreigner is to make a list of their interests and, according to that, search the internet and find what in Prague suits them the best. It is guaranteed that you’ll find plenty of options what to do, no matter what your tastes are! If you want to feel like you can touch clouds, the High Tatras is the right place! You’re Slovakian. If people make a trip to your homeland what would you recommend them to see? 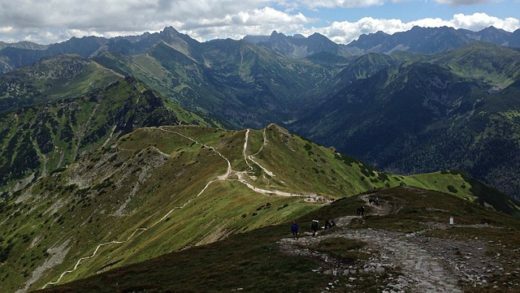 If you happen to be in Slovakia I definitely suggest going hiking in the High Tatras. It’s a beautiful national park located in the north of the country (close to Poland), full of mountains, high peaks, waterfalls and lakes, plus a lot of wildlife. Also, all around the country, you can find a lot of beautiful castles. If you like to try new dishes, bryndzové halušky and pirohy have to be your first choice, in my opinion. The first one consists of potato dumplings served with a goat cheese sauce and fried bacon on top, the second one is stuffed dumplings, filled either with ham, cheese or vegetables. Dana, thank you very much for your time! And our dear expats, If you want to take advantage of Dana’s skills and experience, choose Foreigners and our services to solve your relocation issues and start to feel like at home from day one, here in the Czech Republic. But of course, Spain is wonderful too! 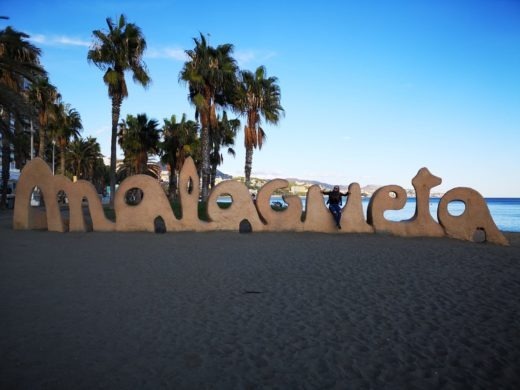 And you can’t to Malaga and not take a shot sat on the famous letter sculpture! Did you like the interview with Dana? Read also the interview with the Executive Director of Foreigners Prague Rado!